Northrop Grumman Reveals Bigger Firebird. The optionally piloted vehicle (OPV) is a 30% bigger version of the medium-altitude unmanned air vehicle demonstrator first revealed by Northrop in 2011. The second seat has been added at the request of a mystery buyer, an order from whom has kicked off an initial low-rate production run of two per year for the next five years. 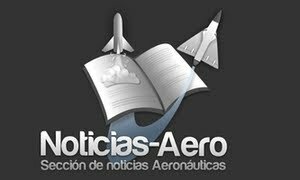 Los aeropuertos del futuro (cercano) podrán tener la modalidad de “autoservicio“, dando una nueva vuelta de tuerca a la experiencia aeroportuaria, según la tendencia que ya se empieza a delinear en ciertos aeródromos. "Lleva 16 años metido en las mismas operaciones: empresa española que pierde en beneficio de la extranjera en la que se diluye, primero francesa y ahora británicas, y él siempre sale ganando". La frase, de un alto cargo del equipo económico del Gobierno, refleja el debate que se ha abierto en el Ejecutivo y en el PP sobre la gestión del presidente de Iberia, Antonio Vázquez, después de anunciar una 'reestructuración' de la empresa con un ERE que afecta a 4.500 empleados y una 'jibarización' de la antigua compañía de bandera que pone en cuestión toda la política del gabinete de Rajoy: la puramente económica, la de infraestructuras y la laboral. United Airlines ya ha comenzado a operar su 787 Dreamliner, el gigante de los cielos de Boeing ya cubre alguna de las rutas de la compañía norteamericana tras haber cumplimentado con éxito el proceso de certificación de la Administración Federal de Aviación. Ali Mussawi, portavoz del primer ministro iraquí, Nuri al Maliki, confirmaba hace unos días la cancelación del contrato de adquisición de armamento ruso que se hizo público el mes pasado y que ascendía a 4.200 millones de euros, por, según declaró, sospechas de corrupción. El acuerdo convertía a Rusia en el segundo gran proveedor de armamento a Irak, justo por detrás de EEUU. La empresa Hirobo, fabricante de helicópteros de radio control, causó sensación en la International Aerospace Exhibition en Nagoya al presentar un helicóptero eléctrico monoplaza, capaz de volar a 100km/k durante 30 minutos con la carga de la batería. En su desarrollo parten de una hoja en blanco, al contrario de lo que hizo Sikorsky con su helicóptero eléctrico, que modificó un modelo ya existente. Cluster Balloonist Plans Atlantic Ocean Crossing: Lifeboat Gondola Will Be Suspended By 365 Helium Balloons The lawn-chair "Cluster Balloonist" who flew his unusual aircraft across the English Channel has his sights set on a more ambitious project ... a trip across the Atlantic Ocean. EASA approval was granted in early October and the LEP manual is now available for those operators who wish to sign up to the programme on BAE Systems' i-Sapphire online facility. Under the LEP the airframe life limit of the aircraft will be raised from the current 45,000 landings to 67,000 landings. The LEP introduces a revised structural maintenance programme for the aircraft embodied through the Structurally Significant Inspection Document (SSID) which operators can buy from BAE Systems Regional Aircraft via a Modification Service Bulletin. Welcoming this news today, Mr Sean McGovern, Business Director Support for BAE Systems Regional Aircraft stated: "We are delighted to have obtained EASA approval for this important Life Extension Programme for the Jetstream 32 which we can now offer to our operators, giving them many more years of useful service from the aircraft, as well as improved residual values." 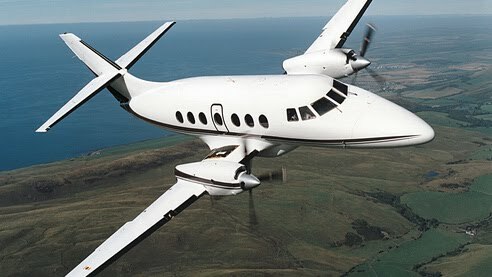 There are some 135 Jetstream 32s operating worldwide, many of which are approaching the 45,000 landings limitation. BAE Systems has been working with fleet lead-time operator, Aerolinea de Antioquia (ADA) of Medellin, Colombia to develop the programme. The airline operates seven Jetstream 32s on scheduled services from Medellin to 11 destinations in north eastern Colombia. ADA will be the first operator to avail themselves of the LEP. For operators whose aircraft are covered under United States Federal Aviation Administration (FAA) or other jurisdictions, BAE Systems will support operators applying to their national airworthiness authority for continued aircraft operations beyond the 45,000 landings limit. BAE Systems successfully converted its 300th F-4 Phantom fighter jet into an unmanned flying drone for the U.S. Air Force. The achievement is a significant milestone in the 16-year-long QF-4 program, which provides full-scale, remotely controlled aerial targets that the Air Force uses for weapons testing and aircraft training. The QF-4 work is conducted at BAE Systems' 123,000-square-foot hangar in Mojave, California. Approximately 100 employees provide a range of services to transform decommissioned F-4s into QF-4s, a complex process that typically takes about six months. 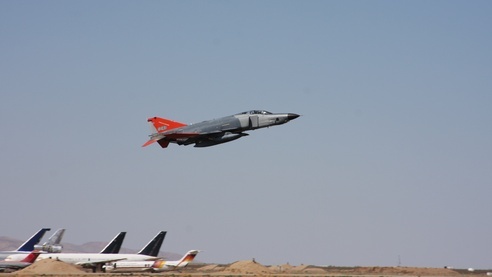 Depending on the condition of the F-4s, the services may include systems engineering and integration; electrical, mechanical, and software engineering; and various types of structural alterations. "Our proven performance on this program exemplifies our global capabilities to upgrade and modify aircraft," said Gordon Eldridge, vice president and general manager of Aerospace Solutions at BAE Systems. "We have been the sole provider of QF-4s for the Air Force since 1996. Congratulations to the entire Mojave team, which now has more than 35 years of combined experience and a solid track record of success." There are 14 more QF-4s scheduled for delivery by the middle of 2013. After each conversion is complete, the aircraft is flown to Tyndall Air Force Base in Florida and other training sites, where it is used primarily for target practice. • BAE Systems is a leading systems integration provider of avionics upgrades for F-16s. In August, South Korea selected BAE Systems as the sole source contractor to upgrade its fleet of more 130 F-16s. Additionally, the company supports 270 of the U.S. Air National Guard's upgraded F-16s and 50 of the Turkish Air Force's upgraded F-16s. BAE Systems' upgrade solution includes the Commercial Fire Control Computer, which is currently the highest throughput and most supportable mission computer in any F-16. • BAE Systems also has a strong history of performance in support of C-130s. The company has designed, supported and completed more than 200 modifications to C-130 variants since the late 1990s. In 2011, BAE Systems was awarded a $23 million U.S. Air Force contract to design and test mission computers for 37 C-130 aircraft. Under that contract, the company is developing, qualifying and testing the new computers, integrating existing software and manufacturing the kits that the Air Force uses for final installation. For more information about these capabilities, visitwww.baesystems.com/aircraftmod or www.baesystems.com/f16. BAE completes 300th F-4 conversion into QF-4 target drone: BAE Systems has completed the conversion of the 300th decommissioned F-4 Phantom fighter jet into a QF-4 full-scale aerial target (FSAT) drone for the US Air Force (USAF). Japanese Company Developing Personal Electric Helicopter: UAV And One-Seat Models May Be Flying By 2021 RC helicopter manufacturer Hirobo made a splash at the International Aerospace Exhibition in Nagoya, Japan last week with the unveiling of a "personal" electric helicopter capable of reaching speeds of up to 62 miles per hour. 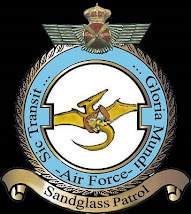 Al amparo del contrato firmado el pasado 22 de octubre entre Defence Equipment & Support (DE&S) y Thales UK Limited, Francia validará en 2013 el sistema aéreo táctico remotamente operado Watchkeeper del Ejército Británico en la base de Istres de la Fuerza Aérea gala. The Russian Il-78MKI lost the tender for the supply of six aerial tankers worth $1 billion to India, which selected the European Airbus A330 as the preferred vendor, citing its lower operational costs. This is not the first Indian tender to be lost by Russian manufacturers in recent months. The base price of the Russian Il-78 tanker was quoted as lower than that of the A330, but when factoring in maintenance and fuel costs, the A330 seemed to have better value, an Indian Ministry of Defence official said. Space debris: Where does it come from, and what can we do about it? Continue Reading Space debris: Where does it come from, and what can we do about it?